Full-Service home remodeler serving the Charlottesville, VA area and nearby communities. Class A licensed contractor, fully bonded and insured. A friendly, trustworthy team of professionals that provide a wide range of services. The company includes a highly skilled and experienced Design + Build team, Remodeling & Replacement team, as well as a reliable Handyman service. Your house is more than just walls and a roof. It's home. It's the place you wake up every morning, and the place you can't wait to get to every night. It's the backdrop for all your favorite memories, and it holds the sound of all your favorite voices. And while it's a substantial investment financially, we believe it's an even bigger investment personally. Building a custom home is significant. Partner with a builder you can trust. Many builders describe themselves as custom homebuilders, but few truly are. With Peak, not only do you get superior craftsmanship and unmatched customer service, but also an entire team of experts dedicated to bringing your vision to life. We understand that sometimes "standard" doesn't work; that's why we make it a rule never to force-fit our clients into ready-made plans and specifications. We maintain flexibility throughout the entire building process to allow for changes, because we understand that a lot happens between blueprints and final construction. Each home we build is as unique as its owner. Altenergy, Inc. is dedicated to educating our customers about solar energy and empowering them to make intelligent buying decisions. We are dedicated to the communities we serve and have branches in Virginia, Maryland, DC and Idaho. Your branch is managed and staffed by professionals who know the region and its people. You’ll get the kind of service and attention you expect from a local company, with the resources of an industry leader. We have designed and built solar energy systems of every size and capacity, and can custom-fit a solar energy system that will reduce your energy costs while adding to the value of your home. 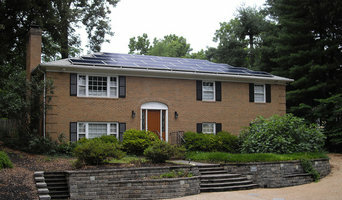 The process begins with learning about your energy needs, costs and usage patterns and finishes with a custom energy solution that maximizes your solar exposure while complimenting the aesthetics of your home. We will also help you acquire tax credits, incentives, renewable energy credits and low-interest loans that will lower your initial investment— and make “going solar” easier than ever. We have the experience to do it right, and the dedication to do it best. Sarisand Tile is a full service shop, helping you with selection, design and installation. We offer a complete range of tile from glass to metal, natural stone to porcelain and more. Our showroom design center offers award winning design expertise. From whimsical to the classic, we can design just the right creative touch for your project. Class A Construction firm that holds the Commercial & Residential Building Certifications in Virginia, serving the city of Charlottesville, and Greater Albemarle & Nelson Counties. Jaeger & Ernst is one of very few, truly custom, design/build cabinetry and furniture shops. We refer to ourselves as “Cabinetmakers,” the traditional title for master craftsmen who design and fabricate home furnishings of fine wood. The designation speaks directly from an era before “custom” became an advertising claim, indiscriminately applied to all manner of mass-produced woodwork. We work in new construction, additions, renovations, and historic restorations. We’ve enjoyed contributing our skills and woodwork to expansive estate homes, log cabins, and brick ranchers. We get excited about snug bungalows and ornate Victorians, as well as suburban homes and ski chalets. Thirty-plus years experience, from beach homes to urban row houses, confirms our belief that every size and style of home offers exciting opportunities for creative woodworking design. One of our most rewarding moments is when a client catches the excitement of a design. We see it happen… a little smile, and the realization, "Oh, this is really going to be something special!" We want that same smile to unexpectedly tweak the corners of our clients' faces when they glance into the room, for years to come. The Gaines Group Architects, located in Harrisonburg and Charlottesville Virginia, is dedicated to providing energy efficient, healthy, durable design solutions. New home design is our area of expertise. Established in 1999, Outlaw Design Company designs houses, renovations, additions, and professional interiors. We are interested in translating our clients’ visions into their built projects in an enjoyable and minimally stressful process. Our mission is to design buildings that work well with the site and provide maximum function, comfort, and delight, use resources wisely, and are built to last. We want you to think, “I love my house!” when you arrive home. The Process We begin with an initial meeting, during which we listen to our clients’ ideas and compare the probable cost of the project they have in mind to their budget. We assess any relevant problems with an existing structure and become familiar with the building site to determine its potential and limitations. The initial sketches we produce are an efficient way to look at ideas in order to get input from the client before producing construction drawings. It can benefit a project to get a builder involved fairly early on, and there are many builders in the area that we’ve worked with and can recommend if you haven’t already found one you like. It’s inevitable that issues crop up during construction. We collaborate with the builder to work through these and encourage our clients to be as involved in the design and building process as they wish. Open communication, mutual trust, and solid relationships between client, builder, and architect are essential to good design. You deserve to live in a home you love. We create beautiful, unique homes and spaces that are innovative, environmentally responsible, and carefully customized. Best of Houzz winner for 2016, 2017 and 2019! Halcyon Contracting is a leading design-build firm specializing in bespoke design, light commercial and custom home construction in the Charlottesville region. We offer a thorough, customized and responsive design consultation process. Our work is backed by 30+ years experience and a sincere dedication to making our customers happy. Smith & Robertson builds homes with soul. From a classic Virginia Farmhouse with red metal roof to a rustic timber frame retreat with shingled siding in the mountains, each home is individually designed and built for the client through open, candid communication, personal attention, a commitment to quality, and extraordinary customer service. Smith & Robertson offers a co-operative experience tailored to express who you are and how you want to live. A beautifully crafted home results. Satisfaction guaranteed. Ron Smith and Glenn Robertson met in college and formed an enduring business partnership in 1976. They started their career during the Ecology movement, working with natural timbers and rich, polished woods. Over the years, the team has maintained their passion for natural materials, Old World craftsmanship, learning new building technologies and personal service. Smith & Robertson has many successful projects with architects like Historical Concepts out of Atlanta, Wayne Crocker in South Carolina, and David Neumann in Washington D.C. They also are a Design/Build firm with a commitment to Green technologies; an independent representative for Timberpeg, designing and/or building award-winning timber frame residences throughout the region; large-scale additions and remodeling. Contact them now to start the rewarding process of building your own dream home. Welcome to Redline Construction and Renovation, a family owned, highly rated enterprise specializing in a wide variety of home and business construction services. Founded in Richmond, Virginia in 2007, the company relocated to Charlottesville during 2008. 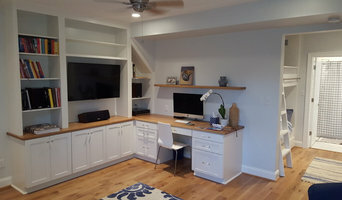 Although the company is young, our experience covers a variety of services including patching drywall, room remodel, a complete renovation, or a room addition to create more space for your family. Our work reflects a final product of exceptional craftsmanship, well above industry standards and at very affordable prices. While each project is different, so is the process for construction. Each customer's needs must be carefully considered before the project begins. Constant communication results in faster completion time and a more enjoyable experience for the customer. Our goal is to provide professional services that will leave positive and lasting impressions. Renovating your home is a long-term investment. Whether your project is large or small, we have no limits as to what we can create for you. For honest and reliable service, contact us today for your free in-home consultation. Stage to Sell evaluates your property from curbside to back fence to determine how to enhance your property’s appearance so that it appeals to the greatest number of potential buyers. We are a full-service company offering everything from a simple 2 hour consultation, to vacant stagings, and even MLS photography! 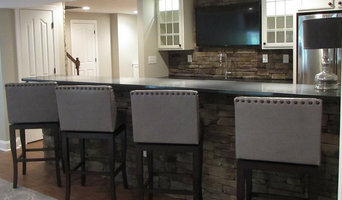 European Stone Concepts is Central Virginia's premiere stone fabricator with over 100 different colors to choose from. For professional expertise and world-class service come to European Stone for natural and eco-friendly solutions for custom kitchen counter tops, bath vanities, fireplaces and more! One of four fabricators in Virginia to be certified by the Marble Institute of America, family owned and operated. But before you start sending out dozens of emails and making phone calls, sit down and think about your project. What's your budget? What is the scope of your project? Will you need more than one type of professional to complete your home improvement project in Charlottesville, VA? Can you afford to complete the full project now, or should you tackle it bit by bit? Once you've settled on your project’s priorities, budget and scope, it's time to start researching Charlottesville, VA home design professionals. Don't sell yourself short and settle on the first professional you set your sights on. Make sure that you're working with someone local, who can get to the jobsite easily and efficiently. Look into the person’s reviews, ask to speak with former clients and to see previous jobs in person. Take a good look at their portfolio photos: How similar are these projects to your own? Be honest — that mansion might look beautiful, but it might not have a lot in common with your little bungalow. Reach out to multiple professionals — especially for larger projects — and don't settle for the first bid you hear. Comparing multiple Charlottesville, VA professionals' bids and experiences can help you find the one that’s best for you. Ask a lot of questions now, so you won't have unexpected answers later. Find a home design professional on Houzz. Narrow down your search by type of professional and location. Browse Charlottesville, VA portfolio photos, read client reviews and contact each Charlottesville, VA professional for more information. Check out the information in the specialized professional sections too for tips on how to hire the right professional for your project.